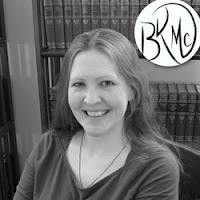 The Wendigo Witchling (Skinwalkers Witchling #2) by B. Kristin McMichael. Publication: June 7th 2016 by Lexia Press, LLC. The boy glanced down. “Entry denied,” he read out on the machine. “Denied?” Cassie asked in disbelief. “I’m not part of any ruling family,” Cassie replied. What is he talking about? “Ugh,” Whitney groaned. “You’re Than’s mate and thus part of the ruling family. I didn’t think about that. I figured your family or mine had called ahead of us and wanted us home. They didn’t, but this …” Whitney shook her head like she should have guessed as much. Cassie groaned, too. Their road trip was being cut short. She just wanted to get away, and now that was being foiled by Nate, and he wasn’t even there. “Well, technically, she isn’t part of the family yet. She has yet to complete all the bonding rituals and right now is still under her own family,” Whitney added, batting her eyes and using her movie star looks to try to win over the guy. “Completely true,” Cassie added, trying her best to imitate her friend and her “pretty please” face. The guy glanced first at Cassie, and then at Whitney. He gave in. “I need to verify this with my boss,” he said before he turned and walked away. Thank you for the excerpt. 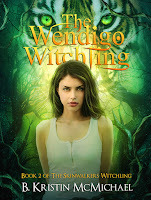 The Windigo Witchling sounds like a wonderful, thrilling fantasy and I am looking forward to reading this novel. Thank you for the chance! I never thought about a story about the different types of witches.